1) Kitchen Updates. 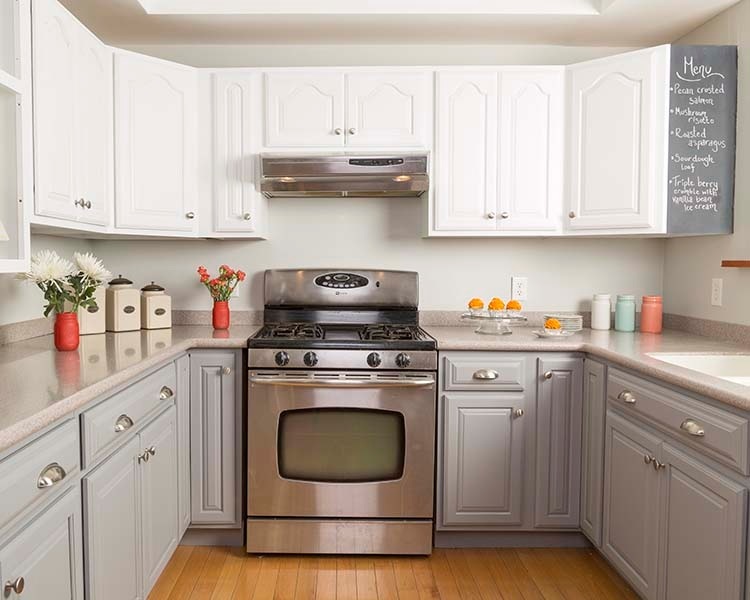 This can be as simple as painting dated cabinets, adding new cabinet hardware and new lighting. Also new appliances usually pay off as well. If you need new countertops because they are damaged, out of date or you don’t like the color anymore, the best option is usually base level granite unless you just fall in love with a higher end option. Many times granite countertops are not as expensive as you would think either. Kitchens do sell houses. As long as you aren’t gutting your kitchen or putting in really high end appliances/cabinets you we do well when the time comes to sell your home with these items. 2) Bathroom Updates. New vinyl flooring, new shower curtain, new faucet, new lighting, paint your vanity and done, major return many times. If you plan on staying longer and will enjoy the update too, go for a new vanity and new vanity tops, tiled shower surround and new tiled flooring. Buyers love the higher end look of tile but many times you can find tile for a good price that won’t break the bank. 3) Hardwood Flooring. Buyers LOVE wood flooring in the main living area of a home, foyer and hall way so if you have been considering new floors for yourself splurge because it will pay off when the time comes to sell your house. Engineered wood floors are a good option to and will help with the cost! 4) Fresh Interior Paint. Buyers love a neutral color throughout the main living areas. It allows them to see the house better and visualize their items in the house. They also are always glad they don’t have to move in and paint right off the bat. Based on our experience, white walls are not the best option anymore. The best color is a light beige or light taupe color. Be careful choosing a color and what undertones will come out of the paint once in your room. We have great colors that we recommend if you need some advice, let us know. 5) Fresh Color of Paint on Shutters and Front Door. This is probably the least expensive thing you can do but make an amazing first impressing! Pick a popular color and give your front door and shutters a fresh coat of paint. This is something we have recommended when meeting with a seller and the colors are very faded. After they paint them, they always wish they would have done it sooner. If you want a professional opinion on an improvement you have been considering and if it will be good for selling your house now or down the road, don’t hesitate to give us a call, Crystal 314-605-6123 or Drew 314-805-2638. We love making sure homeowners make good decisions on their home improvements that will provide a return for them!